No Girls Grenache by the glass? Don’t mind if I do! The sun has shone a little less brightly this week (and not just due to wildfire smoke blocking out the sky) – I had to return my borrowed Coravin, leaving an empty spot on my counter and a needle-sized hole in my heart. Apart from testing out the device on the three bottles of wine the agent provided to me (adventures catalogued in Part 1, Part 2 and Part 3 of this post miniseries), I also went to town last week on a few bottles from my cellar, including a couple of the pricy variety in case you were wondering about my level of Coravin confidence. Most importantly, I re-accessed the 2012 Tabali Pinot Noir from Chile that acted so strangely I last time I Coravinned my bottle samples just to make sure that all was still well, and it was fresh as a daisy and exactly how I remembered it on first opening, confirming that the Coravin’s preservation record remained fully intact. 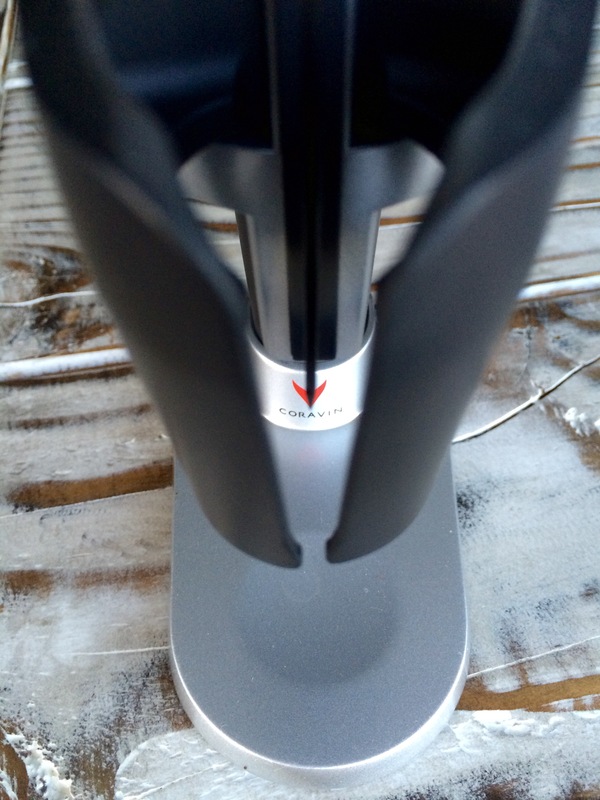 I thought I’d end my Coravin saga with a few closing thoughts on the pros and cons of scooping the device for yourself and on whether the amazing features of this wine access wonder-machine justifies its hefty $400ish price tag, particularly for individual wine lovers. First, the most obvious pro: there is nothing like this anywhere. It is literally in a class of its own in the wine preservation game, to the point where it’s almost not fair to call it a preservation device at all: you don’t have to worry about preserving the wine when you never expose it to the elements in the first place. You’re not using it to stave off inevitable oxygen decay for a few days or a couple weeks; you’re using it to stop the oxygen time clock from even starting, so that you can drink a bottle from your cellar a glass at a time over any length of time that you want, even years. That’s just mind-blowing. Even after using the thing for a month, it’s hard to wrap my head around just how much of a game-changer it is. You may think that I’d say the cost of the Coravin is its main detriment, but it’s not: I wouldn’t pay $400 for very many wine gadgets, but this one is a revolution. I don’t blink at the price tag, and for someone who is going to use it on their most precious bottles, it’s a one-off expense equal to the price of a couple of them, from which you get a lifetime of unimpeded on-demand cellar access. Sorry – the lawyer in me loves a good liability-absolution-attempt warning message. Where I do hesitate a bit is at the price of the replacement argon cartridges. I’ve been told that the Coravin can go through argon fairly quickly, although I probably used it to access wines a dozen or so times, up to a glass at a time, and my cartridge didn’t run out. When it does, however, the cost to get more is either $37.50 for a box of 2 replacement cartridges ($18.75 per) or a whopping $290 for a box of 24 ($12.08 per). In contrast, I get replacement argon cartridges for my Pek Preservino (which are essentially the same as the Coravin’s cartridges except for a plastic cap that Coravin adds to its argon products to prevent substitution) for about $5 a cartridge. That’s a massive difference. I would expect the Coravin argon price to come down as it gains familiarity in the market, but the main point is that you shouldn’t expect your cash outlay to end with the device purchase price. There will be upkeep expenses involved. 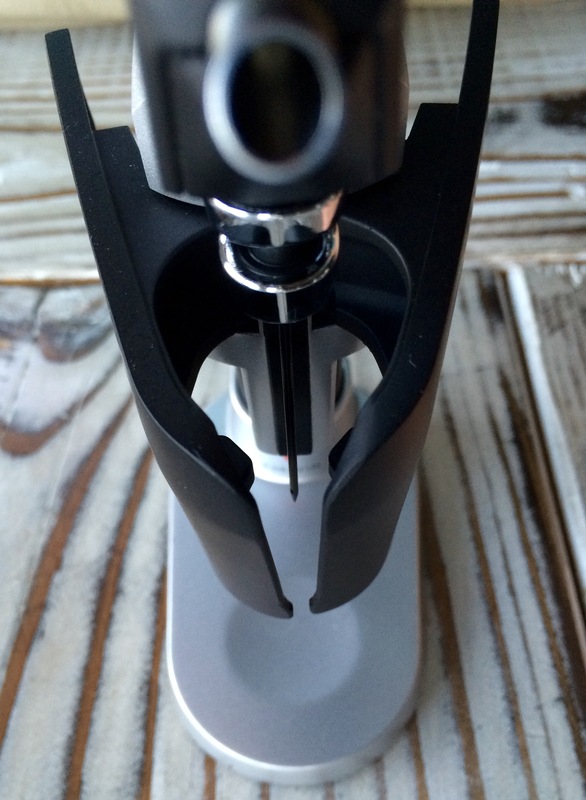 For a private dedicated wine consumer thinking of buying a Coravin, I would therefore recommend (1) doing it, but (2) pairing it with another (cheaper) preservation device to use for short-term fixes — that $15 bottle you drink over two nights from Monday to Tuesday, for example. Then you can save the Coravin for where it truly shines: testing the readiness and maturation of prime bottles, and opening up the wonders of your cellar inventory a glass at a time. At the end of the day, I see the Coravin as a balancing act. With it, you gain the opportunity to try the entirety of your wine collection at any time, have glasses from multiple bottles in any given night (without feeling horrible the next day or wasting a bunch of wine), match different wines with successive food courses during a meal, and drink a cherished bottle over the course of multiple years, getting to see firsthand how it matures and ages without having to buy half a case. In exchange, you lose a little bit of the romance and intrigue of it all. A bottle of wine has a sense of place and time anchored in where it’s from and when and how it was made, but it also has a sense of place and time from when it’s opened. Opening a rare, expensive or cherished bottle of wine is an eventful thing, and a bit of that impact goes away when the wine becomes immediately accessible at will. That is certainly not to say that progress in wine access technology is a bad thing, but only that people will have to determine the way in which they want to drink their best and brightest wines. 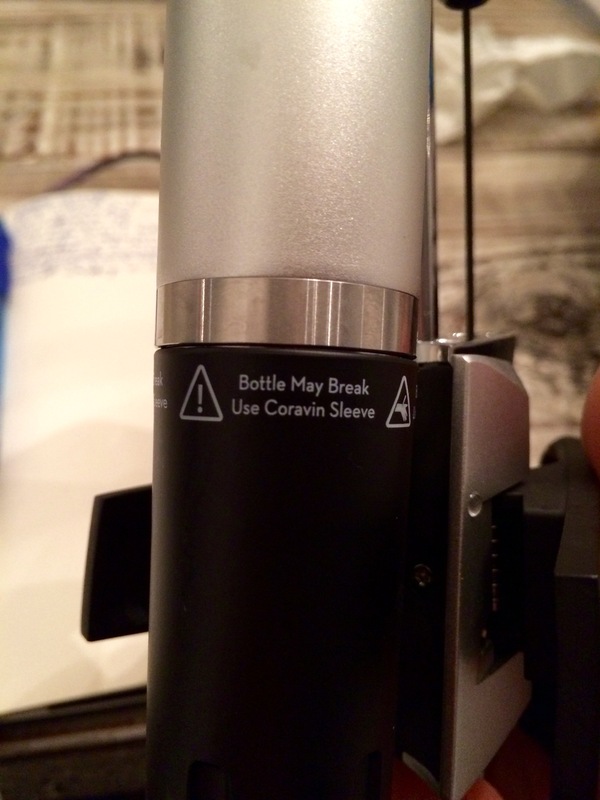 My final thoughts: The Coravin is awesome. Every restaurant should have one, full stop, and if they have to charge a bit more by the glass for the incredible list access it provides, I will gladly pay. For individuals, it’s not a cheap proposition either to buy or to maintain, but if used right it can let you enjoy your cellar in a way you never thought possible. Serious wine lovers should seriously consider it, unless they are of the view that a bottle is an event to be savoured as a whole. 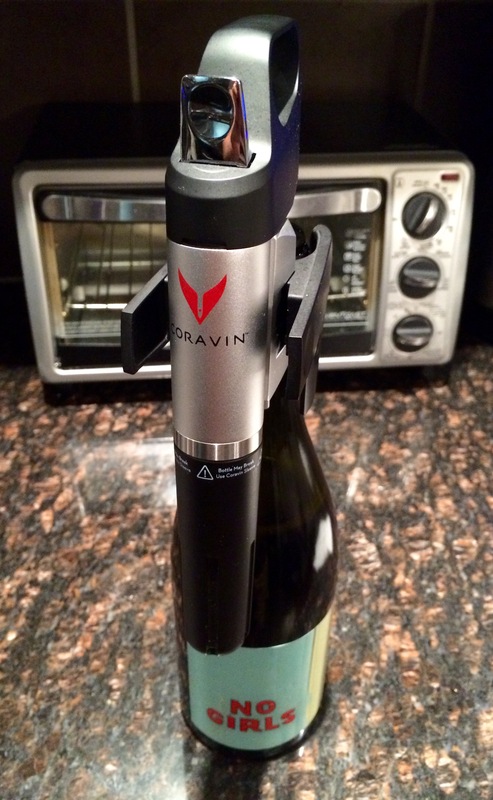 The Coravin is a paradigm shift and the most impactful wine device I can think of. If you want one, check out The Wine Syndicate’s online shop to order.